Lifestyle changes play a crucial role in maintaining heart health. It can not only prevent cardiovascular disease from developing but it has also been shown to be highly effective in the treatment of patients with existing heart disease such as coronary heart disease. Regular exercise, dietary modification, maintaining a healthy weight and avoidance of smoking form the main planks of lifestyle changes for cardiovascular health. Read Dr Koh's contribution to article in Mail on Sunday. Most people are not getting the amount of activity they need to stay healthy. Only 1 in 20 people are actually doing the right kind of activity they need each week. Building activity into your day keeps your heart healthy. It can also help reduce your stress levels and lifting your mood if you’re feeling down. The best activity for your heart health is moderate- intensity rhythmic (aerobic) activity – for example, brisk walking, cycling or swimming. ‘Moderate-intensity’ means that it should make you feel warm and breathe more heavily than usual, but you should still be able to talk. 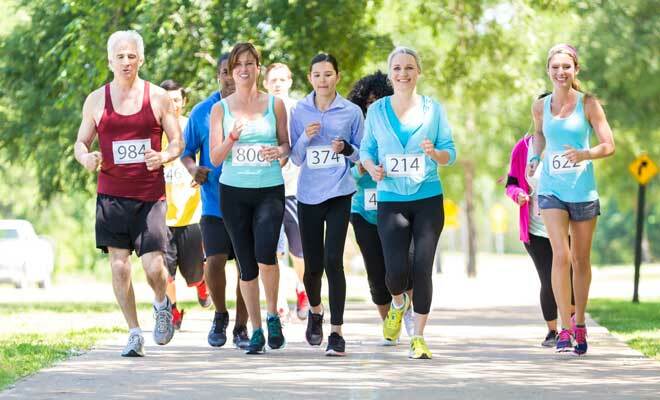 The aim to do at least 150 minutes of moderate-intensity physical activity a week. For example, you could do 30 minutes a day on at least five days a week. You can do the 30 minutes either all in one go or in several shorter bouts of about 10 minutes at a time. Choosing a mixture of activities will help keep you motivated. Some good options include: taking the stairs instead of the lift or escalator , gardening and housework , walking as much as possible in your lunch break , getting off the bus or train one stop earlier when you go to work or do the shopping and getting an exercise DVD and doing your exercise at home. More than one in every four adults in England are obese. Keeping to a healthy weight and body shape can help to protect against diabetes and high blood pressure, and also helps to control your cholesterol levels and reduce the risk of developing cardiovascular disease. 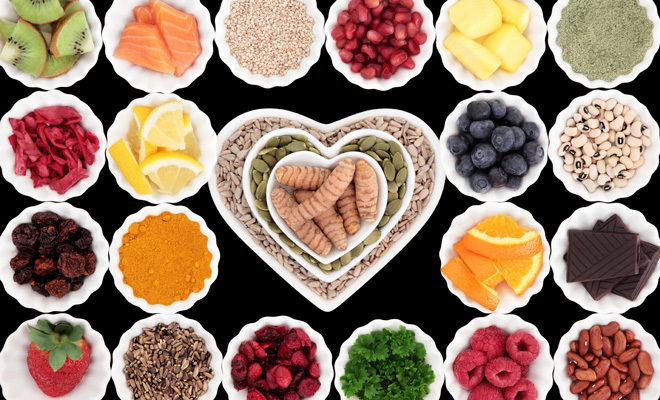 Eat a healthy, balanced diet can to help protect your heart. The key features of a heart healthy diet are as follows. 1) Eat plenty of fruit and vegetables. 2) Choose healthier fats. 3) Follow a Mediterranean diet 4) Reduce salt intake. Eat at least five portions of a variety of fruit and vegetables a day. This can be fresh, frozen, chilled, canned, dried, cooked or raw. There is no evidence that taking vitamin tablets or supplements has the same benefits as eating fruit and vegetables. Foods containing fat contain a combination of saturated fats, monounsaturated fats and polyunsaturated fats. It is advisable to reduce intake of saturated fats such as butter, cheese, sausages and fatty meats, which raise cholesterol levels. Replace them with healthier monounsaturated (olive oil and avocado) and polyunsaturated fats (nuts, seeds, sunflower oil oily fish). Also reduce intake of foods containing trans fats because they can increase total cholesterol and LDL cholesterol levels. Trans fats are found in processed foods like some cakes, biscuits, crackers and hard margarines. Reduce the total amount of fat you eat by cutting down on foods such as pastries and fatty crisps, and replacing them with healthier fruit and vegetables. To help protect your heart, you need to reduce intake of saturated fats and trans fats and replace them with monounsaturated and polyunsaturated fats. Omega-3 fats are also beneficial for your heart. There is evidence that the ‘Mediterranean diet’ can reduce the risk of cardiovascular disease. A Mediterranean diet encourages eating less meat and more fish, fruit, vegetables, grains, nuts, pulses and beans. It also includes using unsaturated oils instead of saturated fats such as butter. Olive oil is a monounsaturated oil and is universally used in Mediterranean countries. It seems that it’s the combination of all the different foods – along with the Mediterranean lifestyle and eating pattern that go with it – that provides the heart health benefits. Aim to eat a couple of portions of fish each week, and make one of these portions an oily fish. Try sardines on toast, or mackerel in a salad, or stir salmon through pasta. People who have a lot of salt in their diet are more likely to have high blood pressure. It is recommended that adults have no more than 6 grams of salt a day – that’s about one teaspoonful. It is the sodium in salt that contributes to high blood pressure. Processed foods that contain a lot of salt and should be avoided. Three-quarters of the salt we eat is hidden in processed foods such as ready meals, packet and canned soups, instant noodles, ketchups and sauces, sausages and burgers, and salty savoury snacks. Don’t add salt to your food at the table. Coronary angioplasty and stent insertion (also known as percutaneous coronary intervention or PCI) is a procedure designed to re-open a partially blocked coronary artery by stretching the artery using a balloon (balloon angioplasty) followed by the implantation of a stent. A stent is a small mesh tube that supports the artery's inner wall thereby restoring normal blood flow through the artery. The majority of stents used during PCI have a coating of drug (drug eluting stent) which reduces the chance of the artery re-narrowing. The procedure is done is the same way as a cardiac catheterisation (ie under local anaesthetic and sedation) but the duration of the PCI procedure will generally take twice as long. The procedure can be done from the groin (femoral artery) or the wrist (radial artery). Procedures from the radial artery are favoured because this approach reduces the chance of bleeding from the puncture site and allows the patient to get up and walk very soon after the procedure. If the groin approach is used there is a period of bedrest of 4 hours to allow the femoral artery puncture site to seal up. The patient stays overnight and can go home the next day. It is imperative that blood thinning tablets known as anti-platelet tablets are taken after a stent procedure. This medication prevents the formation of blood clots on the stent. Coronary angioplasty and stent insertion is most commonly performed in patients with coronary heart disease to relieve angina or heart pains and allow a better quality of life with the less need for anti-angina medication. In patients at imminent risk of heart attack (unstable angina) or during a full blown heart attack, coronary angioplasty and stent insertion can be a life saving procedure. Heart attack patients in London are treated with this procedure (known as primary angioplasty) as emergencies 24 hours a day, at specialised units (for example Barts Heart Attack Centre). Pacemakers are devices that treat patients with slow heart rates. Such patients usually complain of dizziness, light-headedness or blackouts. Fatigue and tiredness can sometimes be symptoms of a slow heart rate. A slow pulse may be detected during routine examination or patient present with symptoms. The diagnosis of a slow heart rate can be made with an electrocardiogram, heart monitor or implantable loop recorded (Reveal device). Pacemakers are implanted under local anesthetic and involves making a small skin incision below the collar bone in order to insert a fine flexible pacing lead into the vein. The pacing lead is passed to the heart under X ray guidance. The generator or “battery” is responsible for sending an electrical impulse through the pacing lead to trigger a heart beat. It also detects the heart’s own electrical activity, and therefore triggers a heartbeat only when the heart’s own rhythm becomes too slow. 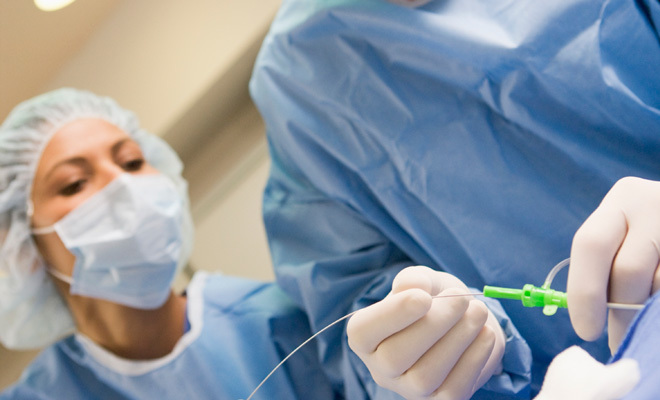 Catheter ablation is a procedure used to treat some types of arrhythmia. An arrhythmia is a problem with the rate or rhythm of the heartbeat. During catheter ablation, a series of catheters (thin, flexible wires) are put into a blood vessel in your arm, groin (upper thigh), or neck. The wires are guided into your heart through the blood vessel. A device sends energy to the heart through one of the catheters. The energy (commonly radiofrequency (RF) energy) burns or ablates small areas of heart tissue where abnormal heartbeats may cause an arrhythmia to start. Catheter ablation is an option if medicines don't not adequately control your arrhythmia. It is also the procedure of choice in certain types of arrhythmia such as atrial flutter. It is also used in the situation where faulty electrical activity may increase the risk of a life-threatening arrhythmia called ventricular fibrillation. Cardioversion is a procedure that can restore a fast or irregular heartbeat to a normal rhythm. For DC electrical cardioversion, the heart is given low-energy shocks to trigger a normal rhythm. A short general anaesthetic is given. This type of cardioversion is done in a hospital as an day case (outpatient) procedure. Medicines given orally or intravenously can also correct arrhythmias (chemical cardioversion). Coronary bypass surgery only became possible in 1970s with the introduction of the cardiopulmonary bypass machine and the development of methods to preserve heart muscle viability during open heart surgery. It involves the use of an artery behind the breast bone (internal mammary artery), and veins taken from the leg (saphenous veins) to graft onto the coronary arteries thereby creating another route (or bypass) through which blood can flow (hence the term bypass graft). Coronary bypass surgery is now one of the commonest types of open-heart surgery performed in the United Kingdom. This option is usually reserved for coronary heart disease patients in whom the coronary artery blockages are unsuitable for treatment with coronary angioplasty and stents. In certain situations, coronary bypass surgery may work better than other types of treatment, and is therefore the treatment of choice. The purpose of coronary bypass surgery (just like angioplasty and stent insertion) is to restore blood flow to the heart muscle. Coronary bypass surgery can improve your quality of life and reduce angina (heart pains) and other symptoms such as breathlessness. It can improve the pumping action of your heart if it has been damaged by a heart attack. Importantly, in certain patients including those with diabetes, bypass surgery may lower the lower the risk of a heart attack and help prolong your life. 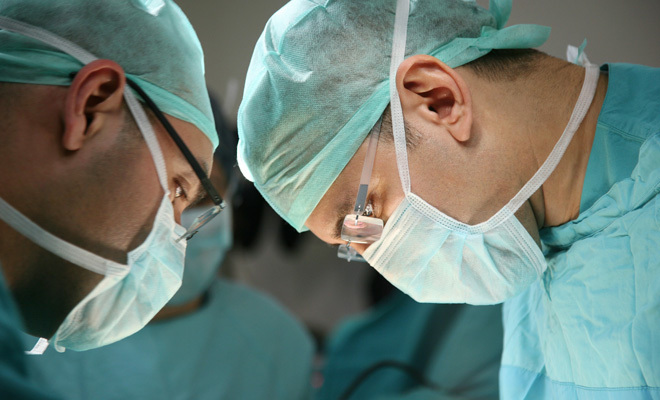 The surgery improves or completely relieves angina symptoms in most patients. Although symptoms can recur, many people remain symptom-free for as long as 10 to 15 years. Taking appropriate medicines and making lifestyle changes can lower the risk of a bypass graft becoming blocked. Cardiac rehabilitation is a supervised program that helps improve the health and well-being of people who have heart problems. Rehab programs include exercise training, education on heart healthy living, and counseling to reduce stress and help you return to an active life. Cardiac rehab is most commonly used in helping recovery after a heart attack or heart surgery. It is a useful forum to address risk factors that can lead to coronary heart disease and other heart problems. These risk factors include high blood pressure, high blood cholesterol, overweight or obesity, diabetes, smoking, lack of physical activity, and depression and other emotional health concerns. Advice on adopting healthy lifestyle changes. These changes may include following a heart healthy diet, being physically active, and learning how to manage stress. The cardiac rehab team may include heart specialist, nurses, exercise specialists, physical and occupational therapists, dietitians or nutritionists, and psychologists.